Can you guess the stories behind these bestselling books and self-publishing success stories? Can you guess the book titles? Can you guess the bestselling book authors? Note: Click on the blurred paragraph to reveal the answer to each bestselling author’s story. One year before their book become a New York Times #1 bestseller, two authors committed to doing one thing to promote their collection of short stories—something that any other author can do. What was that one thing? And who were these authors? Jack Canfield and Mark Victor Hansen, co-authors of the Chicken Soup for the Soul series, committed to doing one interview every day for a full year. At the end of that one year, their book was a #1 bestseller and launched the series that has sold over 600 million books thus far. Two authors did one thing to promote their collection of short stories to bestseller status. Before publishing his book with an independent book publisher, this author took two key steps—two steps that any author can follow. His book became a New York Times bestseller and formed the basis for a series that has sold over 300 million copies. Who was this author? And what were the two key steps he took? Dan Gookin, author of Dos for Dummies, 1) created a brandable title, and 2) created a user-friendly design that caused his computer primer to stand head and shoulders over any other computer manual. Booksellers at first refused to feature the book because they claimed that no readers would ever intentionally call themselves dummies. Well, they were wrong. Hundreds, then thousands of readers marched into bookstores to find the book. Dos for Dummies ended up selling millions of copies and establishing a brand that sold over 300 million copies of additional titles. This author took two key steps—two steps that any author can follow— to create a bestseller. A secretary at an insurance agency in a small Midwestern state self-published a book and then did one thing, over and over again, for over a year—something that any book author can do as well. She ended up selling over 30,000 copies of her book in that first year and then went on to become the bestselling book author on the QVC home shopping channel, selling well over a million books. JoAnna Lund, author of Healthy Exchanges Cookbook, spent the first year after self-publishing her book promoting it via radio, TV, and newspaper interviews in her home state of Iowa and parts of Illinois. She did interviews at least several times every week. She became one of the most well-known people in her state during that year and sold over 30,000 copies in Iowa and Illinois, out-selling every other book during that time. During that year, JoAnna also spent more than six months of persistence to get on QVC. During her first appearance, she sold 3,500 books in twelve minutes on a Thursday afternoon. During her second appearance on a Friday evening, she sold 6,300 books in six minutes. Since then, she became QVC’s bestselling author, selling more than a million cookbooks. During a seventy-minute appearance, she sold more than 200,000 cookbooks. This self-publisher did one thing, over and over again, for over a year to create a bestseller. A year after her book was given up as dead by her New York publisher, one author revived her book by doing one thing—something any entrepreneurial author can do as well. Her book ended up as a #1 New York Times bestseller, over a year after the publisher had abandoned the book. Callanetics by Callan Pinckney was launched by New York publisher Morrow in September. After a first round of publicity and 10,000 copies sold, the book went into a second printing of 5,000 copies. But there the book died. Because Pinckney was not a celebrity and because the book was competing against an exercise book by actress Victoria Principal, Morrow was not able to get more media interviews for Pinckney. Pinckney continued to promote the book but with little effect until a fan in Chicago called her to ask if she would be coming to Chicago any time soon. Pinckney, of course, said she would be able to come if she could do a TV show in the area. Well, the fan was determined to have Callan come so she arranged for the producers of A.M. Chicago to contact Pinckney and book an interview. Within hours of Pinckney’s appearance on the show, a major Chicago bookstore had taken 400 orders. That was in August (eleven months after publication). From there Pinckney went on to do more TV shows in other small cities, and each time she created another spurt of sales for her book. During this time she also personally called major book chains to let them know that Morrow still had books stored in their warehouse. She had to fight with Morrow to get them to put the books into the bookstores. After about three months of this activity, her book finally hit the bestseller lists (over a year after the book was published!) and remained on the lists for almost a year. The book went on to sell 250,000 copies and garner a $200,000 advance for paperback rights. One author revived her book by doing one thing that any entrepreneurial author can do as well. One newbie author and her husband did five things to promote their cookbook and sell out its first printing before the official pub date. Any book authors could follow these five steps to launch their books as well. Within the first three months the book went into four printings. By the end of the year, a national book chain listed the book as one of their top five bestselling cookbooks. That same year the book won the James Beard Book Award for best writing on food. Weeks before our first book’s pub date, we sent out 3,000+ letters and postcards, at our own effort and expense. We got on the phone and called cookbook specialty stores to introduce ourselves, and asked whether they planned to carry our book. We offered to speak everywhere from bookstores to book fairs to adult education programs. We learned that autographed books sold better than non-autographed books, so once the book was published, we made it a habit to stop by bookstores during our business and pleasure travels to sign our books and chat with bookstore personnel. We sent copies of our book to our friends in the media (as well as their friends). We never let up. And, sure enough, things started to happen. Our book’s first printing of 7,500 copies sold out before its official pub date. Through our efforts, we landed an interview with Matt Lauer on The Today Show, while dozens of chefs cheered and waved whisks at the TV cameras outside NBC’s Rockefeller Center studios! Within a couple of months, the book went into its fourth printing. By the end of the year, Borders cited Becoming a Chef as one of its top five bestselling cookbooks nationally for 1995. And in 1996, it was honored with the James Beard Book Award for Best Writing on Food. Even today, the book still gets its fair share of press—in publications ranging from Newsweek to Forbes! One newbie author and husband did 5 things to promote a cookbook and sell out a first printing. 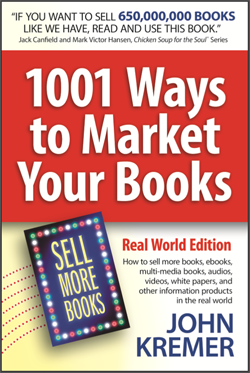 A bestselling book author did one thing to revive his book and increase its sales after several years of declining sales. This one thing is something any author can do to revive his or her book at any stage in its life. This author’s book once made the annual bestseller list twice, once for the previous year’s edition and once for the current year’s edition. After several years of declining sales for his classic career manual What Color Is Your Parachute? (originally self-published), Richard Bolles cut 150 pages from his book to make it more accessible to job seekers. Rather than just tossing those pages, Richard put those missing pages up on his website so people could still have access to the content. In 1996, the book made Publishers Weekly’s annual bestseller list twice—once for its 1995 edition, which sold 1,320,000 copies in 1996, and again for its 1996 edition, which sold 1,830,000 copies that year. A bestselling author did one thing to revive his book and increase sales after years of decline. 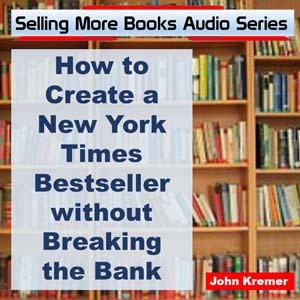 One book author described how her nonfiction book made the New York Times monthly bestseller list when her only book sales were being made on Amazon with a self-published print-on-demand book. Even better she continued making sales of $100,000 per month via Amazon. On one book! What she did to get these sales is something any book author, with a little persistence, can do as well. The author of this self-published nonfiction book used Facebook as her main marketing tool by building a fanpage following of 185,000. She built her following using Facebook ads (which she could easily afford given her monthly sales with Amazon). An author made the New York Times bestseller list with a self-published print-on-demand book. This author spent the year before his book was released doing one key thing—something many other authors could easily duplicate. The week his book was launched, it hit the New York Times bestseller list from online sales alone. That same week the author was invited to a major network morning talk show. That appearance only goosed sales. Within a year, his book had sold over a million copies. A year before he published The 4-Hour Workweek and while he was still writing the book, Tim Ferriss attended dozens of internet marketing conferences with the goal of getting to know as many of the top internet marketing gurus and build true friendships with them. Every day of every conference, he spent his time taking people out to lunch, drinking with them at the bar, or taking other opportunities to build relationships with them. His first question for every person: What can I do to help you? Eventually, he asked all of his new friends if they would support the launch of his new book. And most of his new relationships followed through. Tim’s The 4-Hour Workweek was the talk of the blogosphere when it was first published. As a result, not only did Tim sell a ton of books, but he was invited on major TV shows to talk about his book and his blog tour. Those local and national TV appearances only drove his sales higher. Men’s Journal called the book the most surprising self-help hit of the decade. Fast Company magazine called him a branding wunderkind. His 4-Hour WorkWeek blog gets more than 1,000,000 visitors every month. The FourHourWorkWeek.com website is ranked 11,134 on Alexa (January 2017) with a Google PageRank of 7 and over 70,000 backlinks. For the 4-Hour WorkWeek, he had cover stories in Men’s Journal, the Sunday New York Times Styles section, and other magazines. He also appeared on NPR, Dr. Oz, and many other major TV and radio shows. His next book, The 4-Hour Body, was also a bestseller. One author spent the year before his book release doing one key thing. Many authors could duplicate. 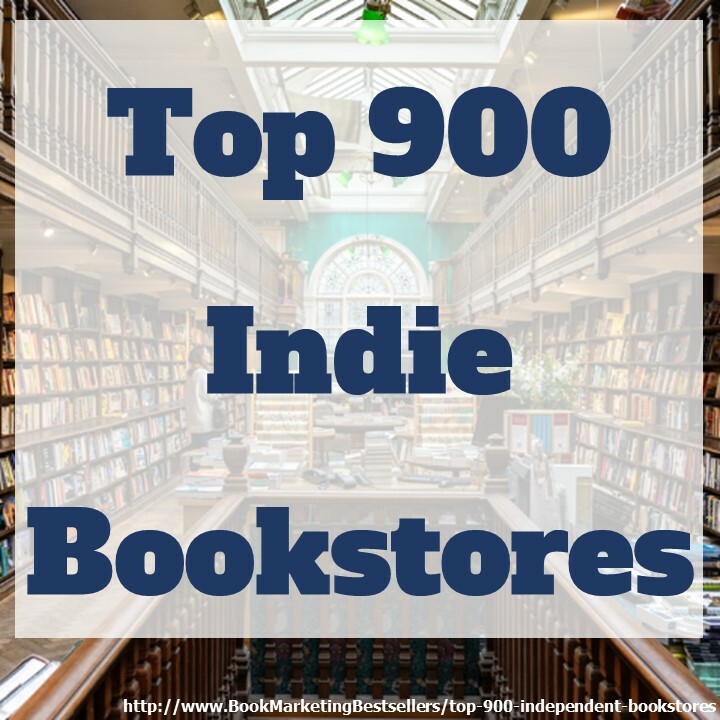 A self-published ebook novelist hosted one event that took her book sales from several thousand copies per month to over 100,000 monthly book sales. Any author could duplicate her event and probably carry it out better than she did. Prior to her Zombiepalooza blog tour event in October 2010, Amanda Hocking was selling between $500 and $2,000 each month of her self-published Kindle ebook novels. After hosting her month-long blog tour (featuring guest posts from other authors, with promotion and links back to her site), sales increased dramatically. She hit a total of 100,000 book sales by December 25th. And went on to sell 400,000 copies in January, 300,000 copies in February, and hit over a million copies in ebook sales by the time she was offered a $2 million contract by St. Martin’s in March 2011. A self-published novelist did 1 event that took book sales from 3,000 copies/month to 100,000. A book author launched his blog seven years ago using one key technique (again, something any author can duplicate with just a little effort). Within months, his blog was ranked as the #1 Small Business Blog with over 80,000 subscribers. What did he do? And how did he use the same process to launch his second book as a bestseller? Michael Stelzner launched Social Media Examiner in 2009 with a major talk at Blog World Expo as well as the support and many social media and blogging superstars, including Brian Clark of CopyBlogger, Darren Rouse of Problogger, Mari Smith, Denise Wakeman, Chris Garret, Jason Falls, and many others. Within three months, he had over 10,000 email subscribers and was ranked one of the top 25 marketing blogs in the world. Over 550,000 people now get his daily emails. When he launched his bestseller, Launch, in 2011, the book got over 100 major blog and print media hits within the first two months. A blogger launched his second book as a bestseller using one key technique. What was it?